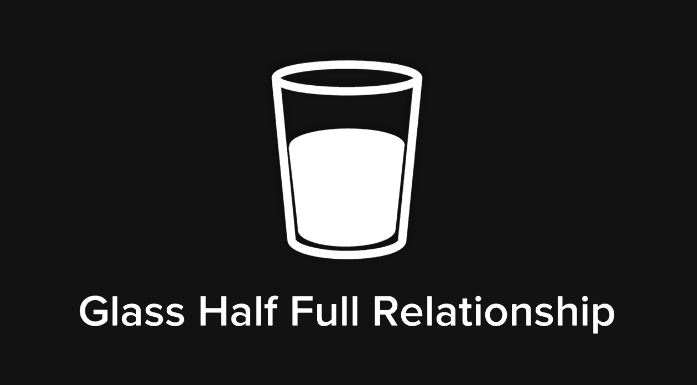 A relationship is a lot like a glass. They are nothing but a shell, unless something is added. Relationships don’t care what’s put inside, they will carry whatever they are given, good or bad. You determine how full it will be. You decide whether it is a glass half full or half empty. When it comes to how we view our relationship, it is your thoughts that what give meaning to the experiences you have in life. How you view any given situation will determine the feelings you have about it. “A shoe factory sends two marketing scouts to a region of Africa to study the prospects for expanding business. One sends back a telegram saying, SITUATION HOPELESS – STOP. NO ONE WEARS SHOES. You are in complete control of how you interpret your life experiences. You are not, however, always in charge of the circumstances that life presents you. What you have control over is the meaning you give them, and how your respond. 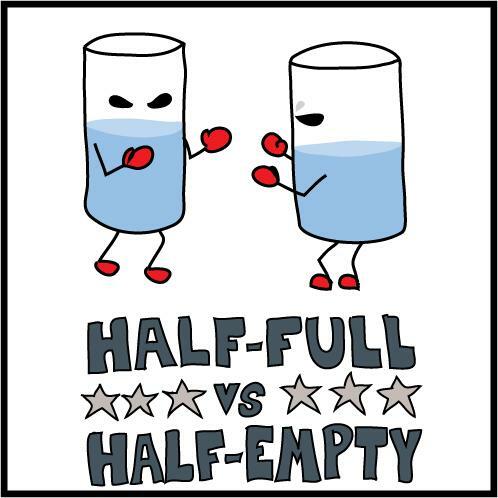 You determine whether you are looking at a glass half full or a glass half empty. Everything we experience is defined by the filters we use to interpret them. Because our brain is designed to look for signs of danger as a way of keeping us alive, we are inclined to look for potential harm (emotional or physical) in our life situations. In relationships, it is common for our feelings to get hurt, believing that our partner did not consider us, was insensitive in her remarks, does not prioritize us, or finds criticism in everything we do. (Glass half empty). Much of these interpretations are rooted in fear, not reality. When we take the time to understand the whole story, the thoughts and fears our partner has that motivate her actions, we soon discover that she likely was acting in defense of her own hurt feelings, and her actions were not directed at harming us at all. (Glass half full). OUTstanding couples develop the ability to give the very best meaning possible to the situations they encounter in their life and their relationship. For example, when your partner is late coming home from work, you have the option to view that situation in many different ways. Through a lens of fear, you might think that she has been in an accident. Through the lens of insecurity, you might think she is being unfaithful. Through the lens of anger, you may think she’s being disrespectful. Through the lens of love, you may think that there are numerous reasons for her running late, none of which have to do with her love for you. Given the choice, which thought will lead to the most peaceful outcome? You get to decide: glass half full, glass half empty? Creating the best meaning possible for the events in our life does not mean that you ignore facts and naively pretend that all is well when it is not. Interpreting the best meaning possible requires honesty and openness. If your partner is late from work every night and it is getting to be a pattern, then you have to work within the framework of the facts. These facts may suggest that your partner has poor discipline when it comes to managing time, or she is unaware of the impact her tardiness is having on you and your relationship. The point is not to create negative meanings in the absence of facts. If all of the data before you leads you to a conclusion that you don’t want to see, it is important to see it anyway! Lastly, the best way to insure that your relationship glass is always half full, is to be sure that you are always contributing the very best of yourself, as fully as possible, so that there is always a half-full cup of goodness in your relationship. That, my friends, is fail-proof.